Nowadays, with the flow of reissues being released, it can be hard to know which one is mandatory and which one isn't. First of all, one must ask him/herself what is the definition of a true classic? From my point of view, a true classic is a release that pushed the boundaries further at the time that it was published. A release that stands out by its authenticity. Its deep feelings and its magic. It's a release that showed something stronger than the others of its time. 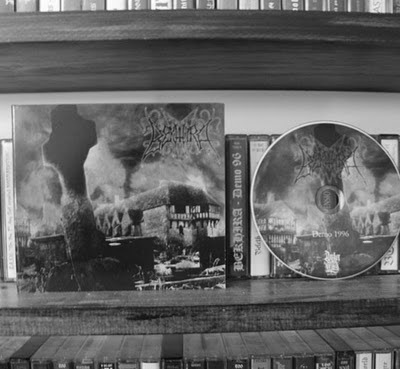 In 1996, Bekhira's demo is a perfect example of a true underground Black Metal classic. Originally released by the mighty French label A.M.S.G. on pro-cassette, Bekhira's 1996 demo finally got a proper reissue on CD format via Darker Than Black Records in Germany. 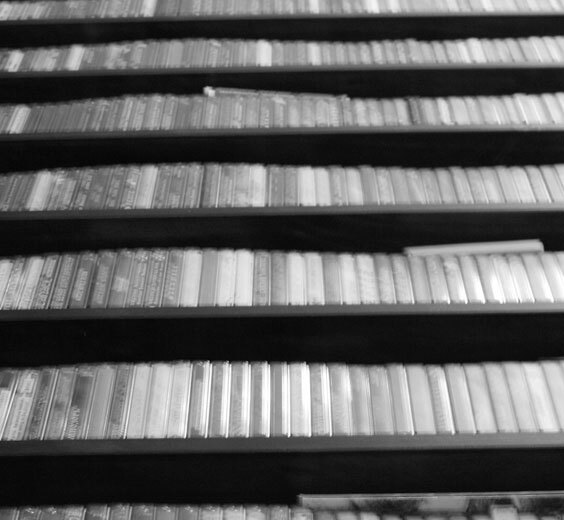 As you can see on the picture above, the reissue is housed in a nice digi-file. It also features a bonus track taken from the 2004 split EP with Desolation Triumphalis. 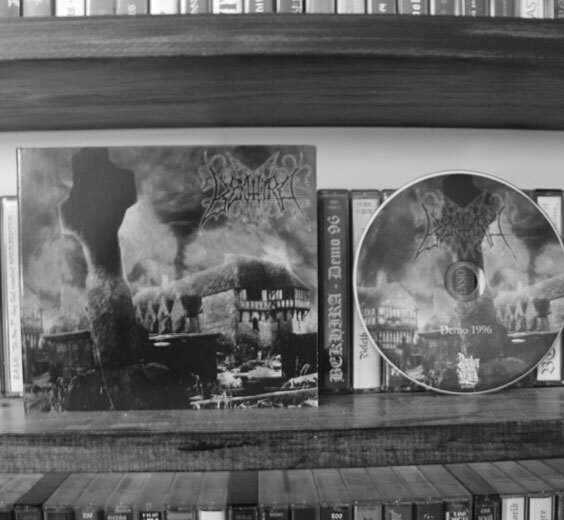 Musically, this demo consists of profound and mesmerizing Black Metal compositions. The way in which Bekhira used only a small amount of keyboards in their music was highly effective, as it added a mystic aura to their creation. It's especially efficient on the first song, "The Grand Evil Spirit". This song might be the most well-know track on the demo as it was featured on the first volume of the compilation series, "The Night and the Fog". This song alone makes it a worthy purchase. The majority of the guitar lines are executed in typical French fashion, which is not negative. It is a style that is unique to the French hordes. This is an absolutely mandatory piece of Black Metal history, and I can only give my highest recommendation to get this because it's not only an amazing recording, but also a timeless Black Metal classic. 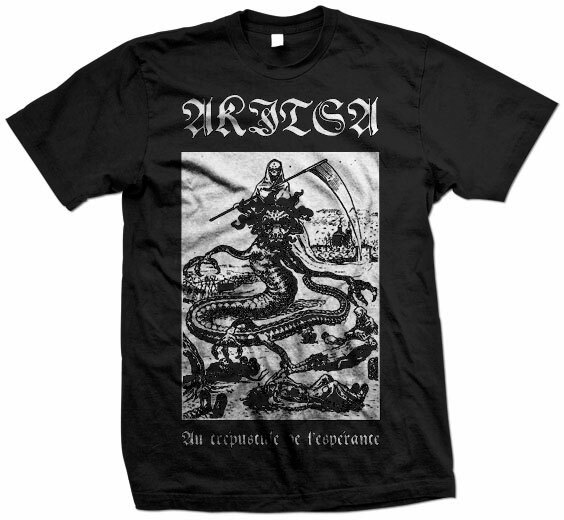 New Akitsa and Ash Pool merchandise. Tour de Garde news blog opening.